This dummy cake is 6 inches in diameter and it is 4 inches in height. You are purchasing only 1 layer of dummy cake. 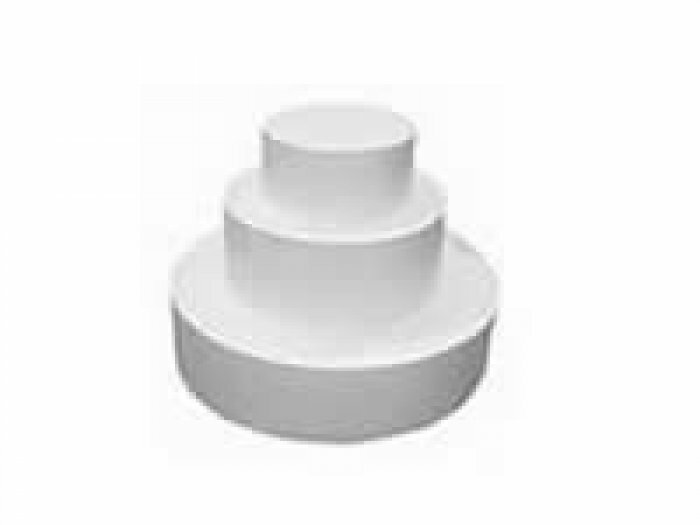 Polystyrene Dummy cakes are usefull when building tiered cakes without the weight and when you dont need the cake to feed thousands. Also useful for building sample cakes with longevity. Our dummy cakes are all 4 inches high and can be cut into different shapes using a electric carving knife. Due to the rough handling of Australia Post we will not Express Post Dummy cakes of any size.